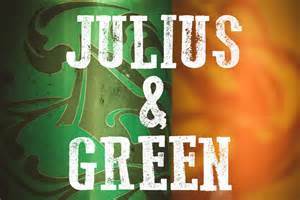 Undoubtedly, 2016 was one of the more unforgettable years in recent memory for the Massachusetts craft beer community. A near record number of new breweries opened for business, further developments in the pay-to-play scandal continued to make headlines, and the Commonwealth celebrated its very first Mass. Beer Week. Suffice it to say, a lot has happened. In case you’ve been hiding under a case of corporate lager (though by the looks of craft beer sales in Massachusetts most of you haven’t been), we thought it might be fun to look back on some of the year’s most notable highlights. Crack open one of your favorite New England style IPAs (might we suggest one from Tree House or Trillium?) and enjoy. Beer Advocate launched Mass. 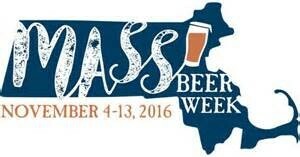 Beer Week, a celebration of beer, brewing and community. Let’s start with an overview of the current number of breweries here in the Bay State. To date, there are 126 commercial beer makers who brew, operate in, or have close ties to Massachusetts. Of those, 96 are visitable destinations (26 brewpubs, 53 taprooms, 17 tasting rooms) where you can either drink, sample, or buy beer to go. The remaining 30 are contract brewers or production-only facilities, but several plan to open their own brewery or tap room in the near future. The Commonwealth has more breweries now than at any time since prohibition, and probably even before. It’s a pretty crazy number considering there were less than half as many just five years ago. Twenty new beer makers debuted just this year, including openings all over the state: Bright Ideas in North Adams, Hog Island on Cape Cod, Stone Cow in Barre, and True West in Acton. The area that saw the most growth was Metro Boston, where Dorchester Brewing, Winter Hill, Bone Up, and Lamplighter all began brewing. Not far behind was the Metro West, which is quickly becoming a beer destination with the likes of veteran brewer Matthew Steinberg’s Exhibit ‘A’ in Framingham (in the former Jack’s Abby space), and more recently Start Line Brewing in Hopkinton. 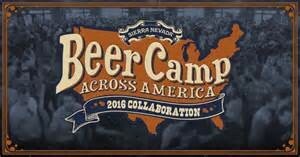 A number of highly regarded festivals, including Sierra Nevada’s Beer Camp, were held in Boston. The Bay State also welcomed two new contract brewers: Medford Brewing, who successfully launched with its tasty American Pale Ale, and Wash Ashore, “born in Martha’s Vineyard but brewed in Maine (at Shipyard Brewing).” A pair of established breweries also began new ventures in 2016. Displaced by the Everett Wynn Casino Project, Idle Hands Craft Ales re-opened with a new brewery and taproom in Malden. A bit further north, in Salem, contract brewer Notch (the first brewery in the U.S. exclusively dedicated to session beer) opened a brewery, taproom, and outdoor biergarten. For a full account of all the new breweries that opened this year check out our September blog post, New Craft Breweries Continue to Open in the Bay State. 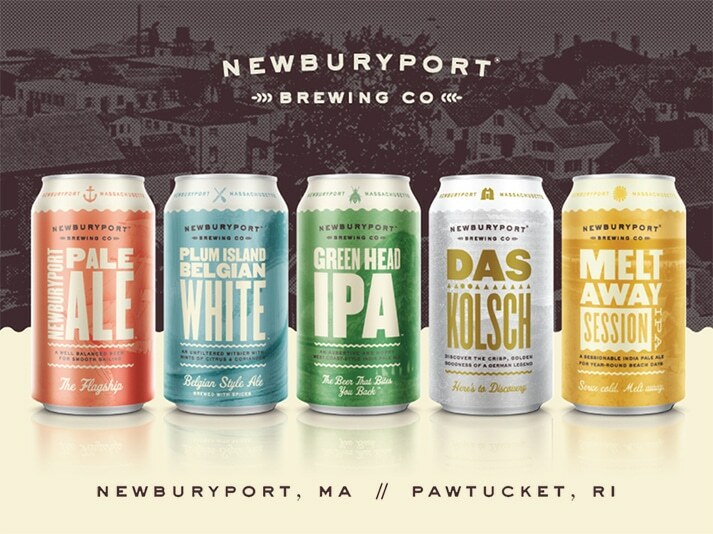 Fast growing Newburyport Brewing Co. joined forces with Isle Brewers Guild, whose state-of-the-art facility in Pawtucket will be their sister brewery. The move helps them expand into Rhode Island. The steady increase of new brewery openings didn’t seem to bother established brewers, many of whom saw continued rapid growth or even expansions. Trillium was the first, opening the doors to its new 16,000-square foot facility in Canton back in February. In June, with an eye toward future expansion, Somerville’s Aeronaut Brewing launched Neighborhood Nights in Allston, a series of events featuring a pop-up beer garden and live music. By early November, just a year after moving to a bigger space with a full service beer hall, Jack’s Abby announced it had already doubled production and would soon open the Springdale Barrel Room, the largest barrel-aging facility in new England, in an adjacent warehouse. Other crowd-pleasing announcements came from Wormtown, who plans to increase production by expanding its Worcester brewery, Tree House, which will open a new brewery and taproom in Charlton in 2017, and Lord Hobo, whose Woburn brewery received its pouring license and will build out a beer hall this spring. More recently, popular contract brewer Backlash announced it will open its own brick and mortar brewery in the Roxbury neighborhood of Boston, and although it’s not official yet, you should expect exciting news from Somerville’s Slumbrew in the near future. 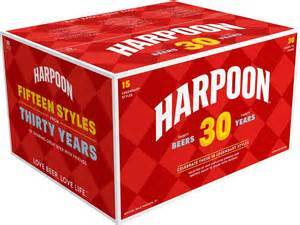 Harpoon, the first craft brewery to open in the Bay State, celebrated its 30th anniversary this year. Speaking of exciting news, did anyone make more headlines this year than Night Shift? The Everett brewery’s meteoric rise to the top of the Massachusetts craft beer scene has been nothing short of remarkable. Early in the year they installed their own canning line, then purchased a new storage facility, allowing them to more than double annual production to 10,000 barrels. In September, they unveiled a second taproom, the Annex, just a week before co-founder Rob Burns was elected president of the Mass. Brewer’s Guild. By late October, in a rebuke to the archaic laws favoring beer distributors, they launched their own distribution company. As if that hadn’t been enough, in November they phased out growler sales, and were named Boston area Brewery of the Year by Eater Magazine. The one headache in an otherwise exceptional year for craft beer in Massachusetts was the continued frustration over crappy distribution laws and pay-to-play scandals. It started in February when a popular distributor, Craft Brewers Guild, was busted for bribing bar owners to favor their brands over others. Faced with losing their distribution license for 90 days they chose to pay a fine of $2.6 million to state regulators (which they have since appealed). Nine months later federal investigators levied them with an unprecedented $750,000 fine for the same charges. The distributor tried to defend itself by explaining that such payments were a widespread practice in the industry. 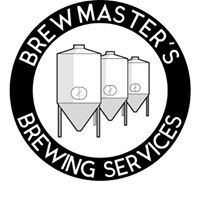 Formerly owned by Opa Opa Brewing, Brewmaster’s Brewing Services is now an independent brewer of contract brands. The Mass. Brewers Guild has tried to stick up for brewers through efforts at legislation reform, but its most recent attempt to negotiate with Beer Distributors of Massachusetts, the trade group that represents Craft Brewers Guild and other big distributors, went nowhere. Futile efforts to work out a better deal for brewers have gone on for eight years, leaving many brands in limbo. New, smaller breweries, apprehensive about the unjust three-tier system, have tried to sidestep it all together by self distributing or limiting themselves primarily to on-premise sales. 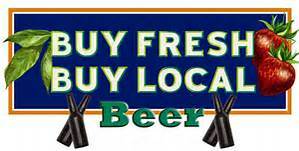 In December, the state Senate passed a bill to allow farmer brewers to sell their beer at farmers markets. If the House passes it in the next few weeks, the bill would take effect in 2017. 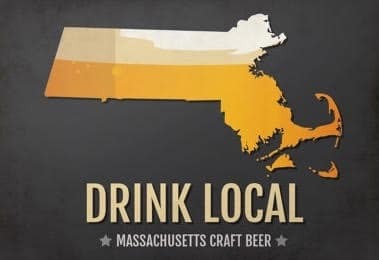 The biggest losers amidst the corruption and dysfunction of the existing laws have been the Bay State’s craft beer drinkers, often faced with what beer writer Julia Herz refers to as the illusion of choice: tap lines at bars and space on liquor store shelves dedicated to brands under contract with big distributors. The end result for consumers is more brands like Yuengling and fewer selections from smaller, local breweries. 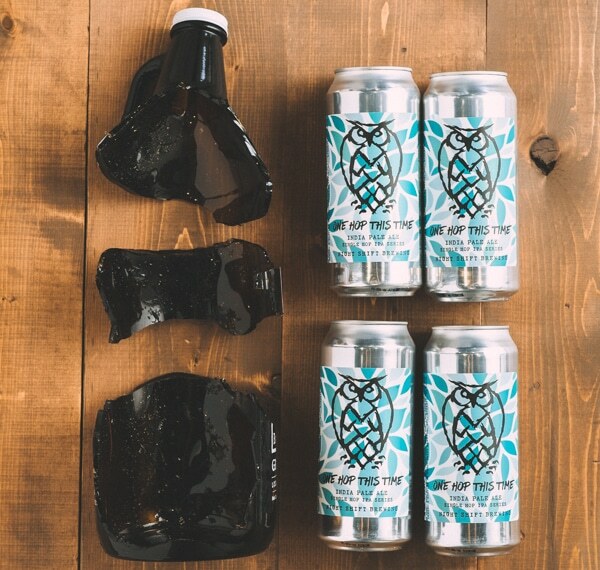 Coupled with the clamoring by many to update the state’s unpopular growler law (don’t hold your breath), craft beer buyers have already started to adapt. Craft beer sellers would be wise to pay attention to evolving consumer trends in the upcoming year. Two big shifts that emerged in 2016 were patrons’ willingness to spend their time and money at brewery taprooms, and a preference for take-home beer in cans. Visiting places like Buzzard’s Bay in Westport, Navigation in Lowell, or Kretschmann in Webster has become an outing rather than an errand for a new generation of patrons keen on drinking experiences. Devotees plan their social lives around special release days, festivals, brewery yoga classes, and a myriad of other beer related events. Breweries are selling more beer directly to the consumer than ever before. The Brewer’s Association reported that on-premise beer consumption and at-the-brewery sales have risen steadily for several years. Massachusetts added more than 20 new taprooms this year and will likely see dozens more open in 2017. Night Shift, who phased out growler sales in favor of cans, was a trend setter in 2016. What hop heads weren’t consuming in brewery taprooms, they preferred to take home in crowlers and cans. A survey we conducted put the number who prefer aluminum at a whopping 80 percent. Virtually all of the state’s fastest growing breweries had been canning for a year or two, and though most of the smaller breweries don’t yet have their own canning lines, many started using mobile canning for a select number of offerings. Amherst Brewing, RiverWalk Brewing, Entitled Beer, and The Tap in Haverhill all added cans as a takeaway option in 2016. Several others, including newbies Barrel House Z and Winter Hill, opted for crowler machines instead of traditional glass growlers. Statewide, upwards of 60 breweries are now selling at least some of their to-go beer in aluminum containers, which many laud for their ability to keep beer fresher longer, and for their portability. That number is only likely to grow in the upcoming year. While we’re on the topic of growth in the upcoming year, keep an eye on Southeastern Mass., poised to become the state’s busiest region thanks to burgeoning beer destinations such as Plymouth and the Southcoast. In all, more than a dozen new breweries have announced plans to open in the region in 2017, including Widowmaker Brewing in Braintree and Untold Brewing in Scituate. Two more, contract brewer Naukabout and production brewery Berkley Beer plan to open their own taprooms. Juicy, New England style IPAs, brewed by Tree House and others, were all the rage in 2016. In it’s recently published Craft Beer In Review, the Brewer’s Association proclaimed 2016 A Big Year for Small Beer, pointing to continued growth of small and independent breweries and an overall brewery count that surpassed 5,000. Massachusetts certainly did its part. For those of you wondering if a craft beer bubble is looming, Bart Watson, the BA’s chief economist, points out that there are still twice as many wineries as breweries in the U.S.. That said, with the number of projected new brewery openings in 2017 likely to push the grand total in the Commonwealth to 150, it’s fair to say that a competitive year is ahead for Bay State craft beer makers. It should be full of opportunities as well as challenges. What, no mention of Castle Island? Castle Island certainly had a great year, but they actually opened in December of 2015 so they weren’t a new brewery if that’s what you mean. We mentioned them in our blog about how the craft beer scene in Southeastern Mass. is exploding, and have visited them a couple of times and enjoyed their beer. Sounds like they have a lot in store for 2017 with a new taproom and all. Cheers.